Combine the yogurt, cayenne pepper, garlic, ginger, cilantro, ground coriander, cumin, salt and turmeric in a resealable plastic bag. Close bag and mix everything together until evenly combined. Add the salmon and toss until well coated with the marinade; marinate overnight. Preheat the oven broiler. Lightly grease a baking pan. 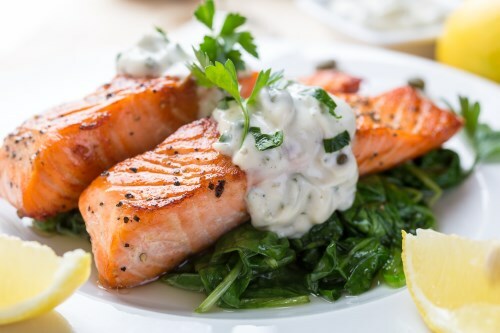 Remove salmon from marinade and shake off excess; discard remaining marinade. Place onto prepared baking pan and broil in preheated oven until salmon flakes easily with a fork, five to seven minutes per side.